Neenah, WI - In its continued effort to help companies comply with government regulations, J.J. Keller & Associates, Inc. is hosting nearly 30 complimentary seminars in the first quarter of 2019 alone. 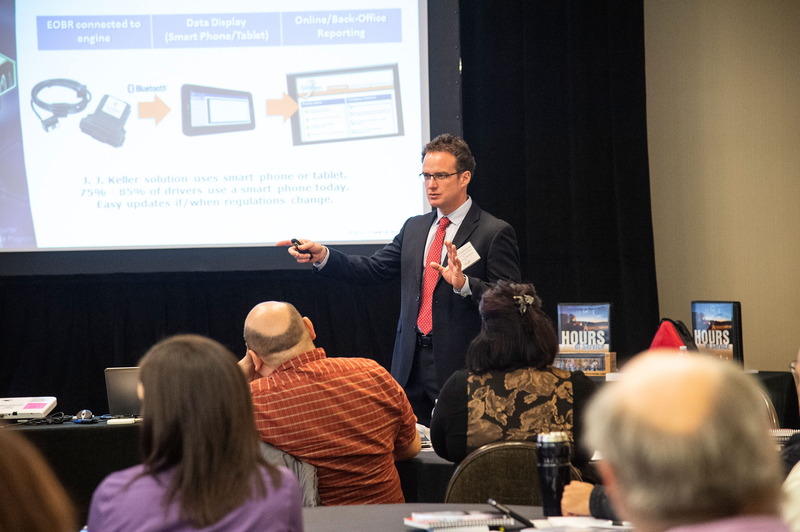 “What’s great about these seminars is not only that our subject-matter experts provide attendees with in-person guidance to better understand and comply with complex regulatory requirements, but also that attendees get to hear about real life best practices from their peers,” said Tom Reader, senior director of marketing at J.J. Keller. Topics covered at J.J. Keller’s many different events include DOT audits, hours of service compliance, and fleet management for transportation professionals; EPA updates, storm water permits, and clean air and water acts for environmental compliance professionals; and OSHA inspections, safety training, and injury and illness recordkeeping for workplace safety professionals. The full list of seminar topics can be found at jjkeller.com/events. J.J. Keller will offer these free educational seminars throughout 2019, with new topics being added during the year. To learn more about J.J. Keller’s compliance seminars or to register for a session, visit jjkeller.com/events.